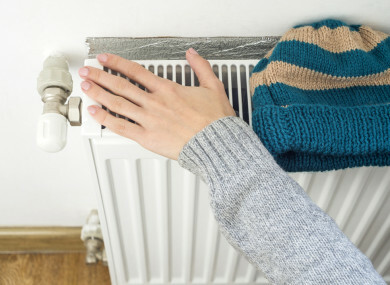 A NEW REPORT from the Money Advice and Budgeting Service (Mabs) has found that over half of its clients in the west Dublin areas of Ballyfermot, Cherry Orchard, Chapelizod and Palmerstown went without heating in the last 12 months. The report – Left Behind in the Cold – highlights what it refers to as a “poverty premium” where people have moved towards pre-paid fuel meters in their home which, while decreasing arrears from unpaid bills, has left many without the money to heat their home. Furthermore, the administration charges for topping up their meters in shops means that they end up spending far more of their income on fuel than the general population. The report was commissioned to see if – as the economy has improved in recent years – the upturn has had any effect on rates of fuel poverty in people seeking its help, which has been strongly linked with financial difficulty and over-indebtedness. It found that over seven in ten (72%) of clients who came to its service were in fuel poverty – which means they were spending more than 10% of their disposable income on fuel. The 56% of people who’ve gone without heat at some stage over the past 12 months is four times higher than the figure for the general population. It also found that around six in ten of its clients now have pre-payment meters, compared to four in ten in 2013. On top of that, the administration charge of topping up these meters in shops was adding to the cost for these customers. The report admits that due to the limitations of its study – having received information from 100 Mabs clients – no “causal links or pathways” to explain the data could be done, but it nevertheless could identify “possible associations and relationships”. Members of the travelling community surveyed spent 21% of their income on fuel costs. As a result of the reports findings, Mabs made a number of recommendations, including the establishment of a cross agency/departmental task force into fuel poverty. It also recommended the activation of discretionary powers to the local community welfare officer from the Department of Social Protection to make payments to travellers living in caravans or mobile homes presenting with exceptional fuel costs and those living in sub-standard accommodation. Marie Clark, money advice coordinator with the service, said: “There is a clear trend among clients away from the more traditional utility suppliers and towards those who operate pre-payment facilities. There were frequent reports of administration charges for making weekly payments – primarily for meter top-ups – in local shops; such payments may, in our view, amount to a “poverty premium”, the simple fact is that it is not just token meters where a surcharge applies… The service found some shops adding a fee to everything from topping up your waste fee charge to toll fees. Email “Poorer households turning to pre-pay heating - but that means they pay a 'poverty premium'”. Feedback on “Poorer households turning to pre-pay heating - but that means they pay a 'poverty premium'”.